We have one more piece of Mario Kart 8 Deluxe news to share. Coming from Nintendo of Poland just like the art for Battle Mode, the game will feature support for the Inkling amiibo. You’ll be able to unlock a new racer outfit with the figure. 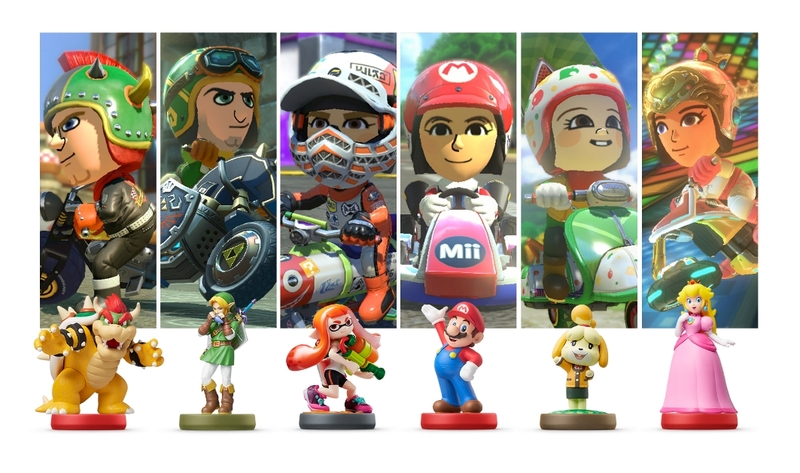 Of course, outfits from Wii U are back as well.